Classic Frame British White Beef Cattle . . . 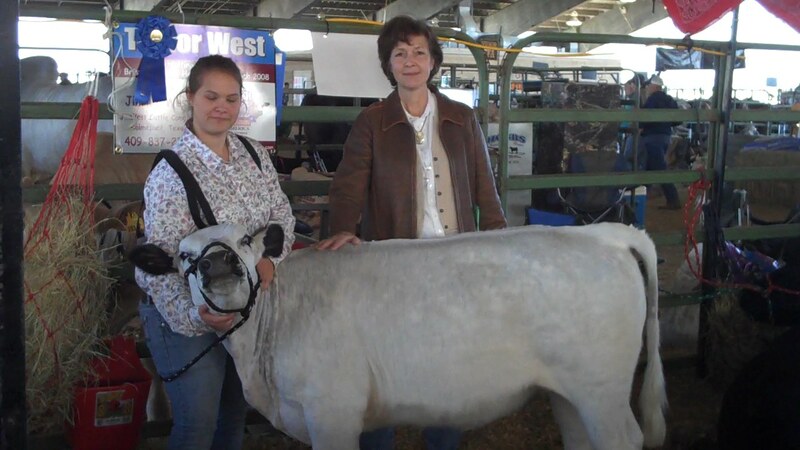 Selective British White breeding by J.West Cattle Company for Classic Frame Seedstock retaining all the desirable characteristics of the polled British White beef breed. Classic British Whites are uniquely beautiful and gentle pasture companions well suited for small acreage farms and grassfed beef production . . . and are not the product of cross-breeding with any other small cattle breed. . . and as always, the breeding stock of J.West Cattle Company is 100% Grassfed. All cattle offered are registered with both the American British White Park Association (ABWPA) and the (BWCAA). The new August 2013 group of weanling heifers offered for sale are outstanding, be sure and check out their video, see the link to the right for current availability of Classic Mini breeding stock. Call 409-837-2338, or email jwestcattle@gmail.com. I like mini jerseys, but they produce more milk than my family could ever use, and since the male jerseys have not much meat, there seems more shame in butchering them. I am interested in the mini white british for their original quality of being dual purpose - both meat AND milk. Do you think it would be difficult to ressurrect the milking ability of this breed without resorting to crossbreeding? Member of both the British White Cattle Association of America (BWCAA) and the American British White Park Cattle Association (ABWPA). "Cattle in the United States today average nearly 1,300 pounds live weight at slaughter. Just 60 years ago, the average weight had not yet tipped the scales at 900 pounds (U.S. Department of Agriculture [USDA] 1958, 1965, April 1964–March 2007, 2007)." Why Raise Classic Frame Beef Cattle? Visit these links for some answers. Herald Tribune Article: Home on the range . . . . I raise registered British White cattle, which are the ancient polled Park Cattle of of the British Isles. My breeding program is focused on moderate profile, easy keeping grassfed genetics. British White cattle have a special heritage in the British Isle's dating back thousands of years, where we find them revered and magified in old oral Celtic tales, customs and laws. . . long before the advent of the written word. The special nature and qualites of the British White breed have been preserved for enjoyment today by both the breeder and the consumer of finely marbled and tender British White beef. CNBC's Top Business Stories from the U.S.